This year we’re sponsoring the incredible Playtime trade shows and next month Japan will host Playtime Tokyo! From 22 to 24 February 2011 Babyology will be looking over the very best offerings from the show, and bringing them straight to you soon after. 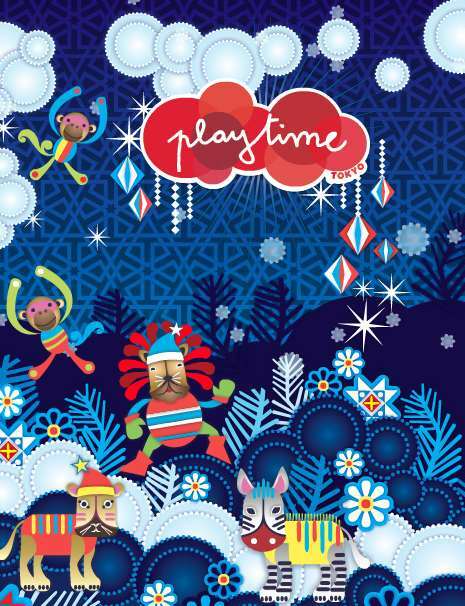 We’re loving the wintery artwork for the Playtime shows so stay tuned for a plethora of pretty goods for babies and kids, plus maternity wear. Playtime has very quickly established itself as the platform for some of the most creative people in children’s accoutrement. Have a read over our past coverage of Playtime Paris, Playtime Tokyo and Playtime New York. The shows are on twice a year so much of our past editorial is still pretty current! We also recently announced Playtime Paris which is on 29 to 31 January.